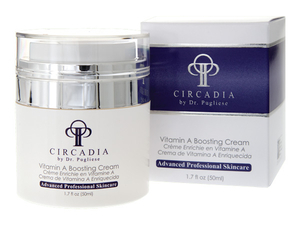 A rich, fast absorbing cream that targets the more advanced signs of aging. Contains 1% retinyl acetate and other key ingredients that boost skin’s youth factor. Dull, rough, heavily keratinized or sun-damaged skin. In the evening after cleansing, apply to desired areas on face and neck.